The automotive industry uses vast amounts of compressed air, both in the component production as well as automotive assembly plants. Welding robots require oil-free air to keep them operating accurately without additional costly service. Shot blasting and surface coating are also processes where large amounts of clean air are needed. Even a drop of oil, silicone or PTFE, which are all present in typical “oil-free” dry screw compressors will destroy the end product quality. 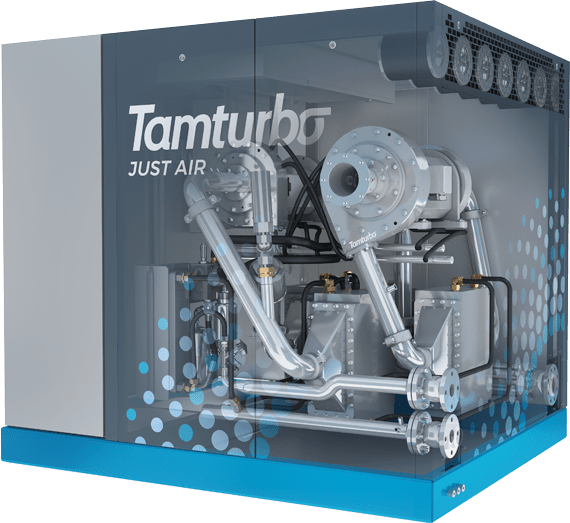 Tamturbo’s products do not add anything to the compressed air. Our unit doesn’t contain a single drop of oil, so the chance of oil escaping to the compressed air line is non-existent. Therefore, you can be totally care-free with our Touch-Free compressor. Typically, the air consumption in the automotive segment is varying, depending on the production cycles and machine operation. There the Tamturbo product is also best-in-class. With a turndown range of even 60% at good efficiency the Tamturbo solution is ideal for this kind of cyclical usage.